By Jemimah Mueni Nairobi — The Kenya Red Cross Society now says 112 people have lost their lives countrywide due to floods being experienced as a result of the heavy rains. Speaking during the launch of a Sh499 million emergency appeal to support affected families, Secretary General Abbas Gullet said 260,200 have been affected in 32 counties ravaged by the floods. He says the worst affected counties include Tana River, Kilifi, Kisumu, Mandera, Isiolo, Turkana, Marsabit, Makueni and Kitui. "The numbers that we can report here is 112 people have lost their lives countrywide, acreage of land destroyed is over 21,000 acres in various parts of the country which had crops. Almost over 20,000 livestock have been washed away. 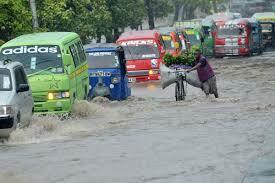 42 health facilities have also been affected by the floods in various parts of the country," he said.